When European settlers came to North America, they encountered vast expanses of grass and wildflowers. They named these golden seas of remarkable beauty for the French word for meadow. 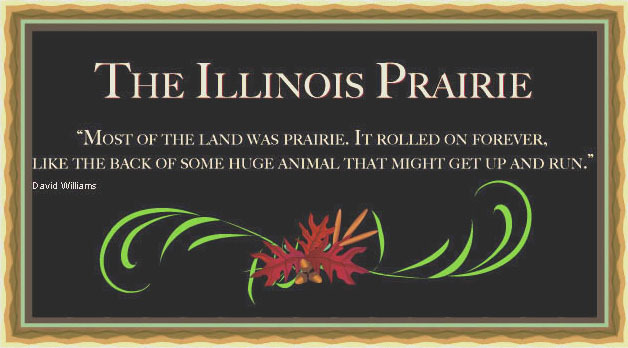 A prairie is a treeless landscape dominated by grasses and wildflowers (forbs). Complex and very productive ecosystems, the prairies of North America once covered a large portion of the continent, ranging from the Rocky Mountains in the west and continuing into Illinois and Indiana in the east, and extending from Canada in the north to Texas in the south. Today, less than 1% of the prairie remains, mostly in small patches. Restoration sites, steep river banks, roadsides and small pieces of land that were never cultivated are areas where prairie remnants are found today. Shop for unique gift items in my store many items feature individual prairie flower drawings on greeting cards.